Today on our third trip of 2016 we went to Caherbanagh. We did it earlier as our last trip of the year 2015 in very bad weather conditions. This time we were more lucky - no rain and the top covered with soft fresh snow. Caherbanagh is a mountain which lies between The Paps and Clara, or otherwise down in the flatlands between Rathmore and Millstreet above Ballydaly. 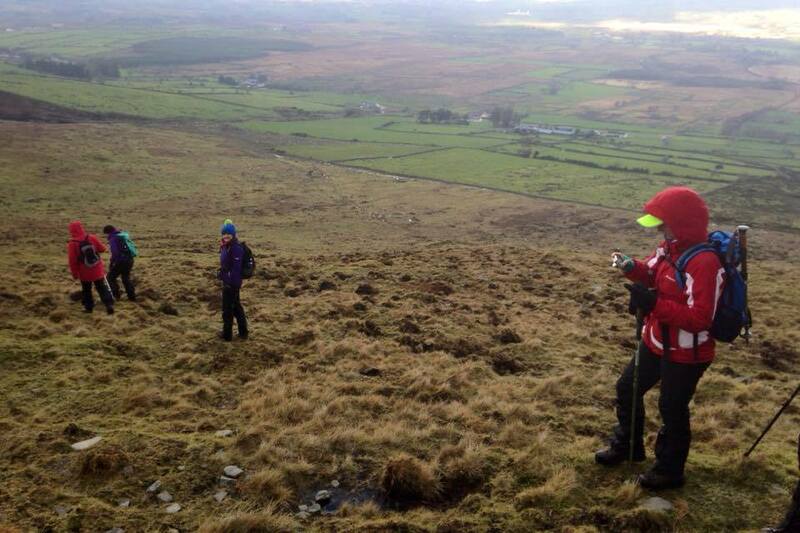 Caherbanagh also lies very close to the Kerry county bounds. Today we had 10 in the group with the usual of Anna, Padraig, Jer, Sheilanne, Bernie, Denis who brought his daughter with him, Celina plus a few new and welcome recruits in Geraldine, Nuala and Margaret. 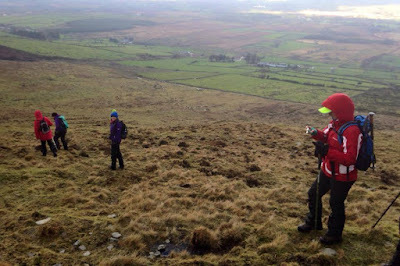 We set out to do the complete Loop of Glanaprehane and Caherbanagh at about 10 am. Off we set and the first part was to climb to our right which today was tough - wet and slippy, until we reached snow-covered part nearer the top and then the higher we went the deeper the snow got but certainly not enough to stop us in our tracks. We got to the top of the Plateau and the next pat was level enough all the way around the loop. 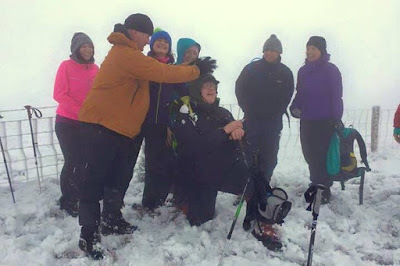 We descended safely but had to watch our steps as it was slippy, finally back to the cars to refresh and decided to call to The Wallis Arms in Millstreet for a little something and a chat.